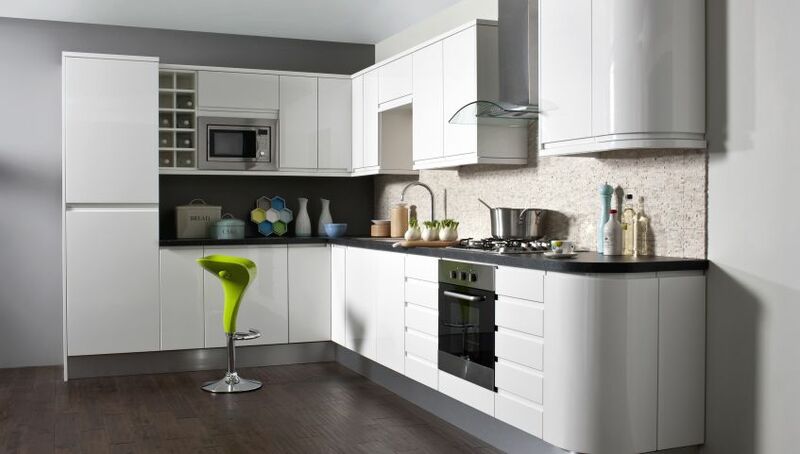 Of course we would love you to come to Stellina Kitchens and buy your new kitchen furniture. However, we understand that you will shop around and we hope this guide helps you to avoid buying an inferior product. 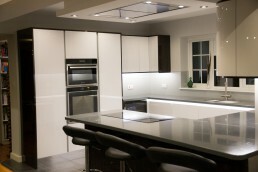 We are fitted furniture specialists – we sell nothing but luxury kitchens. We wouldn’t expect you to come to us for a yard of sand, three metres of plastic guttering and a roll of roof felt, and conversely if you want excellent advice and a top quality product you are probably not going to find this in a builders merchant or DIY store. What type of board are the carcases made of? How are the doors manufactured? Who manufactures the hardware that is fitted? Where are the carcases manufactured? We doubt very much if they would be able to tell you – enough said. 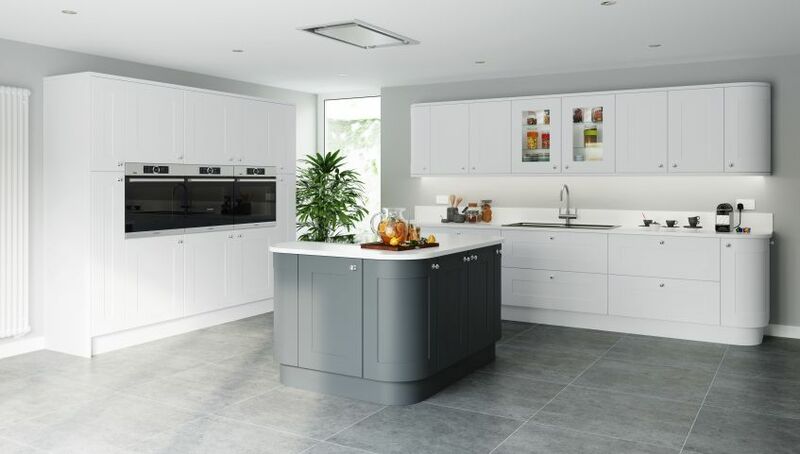 Our kitchens are manufactured locally in Kent and we know exactly what goes in to them. If you buy a kitchen from a DIY store then who knows which country they sourced it from this month! 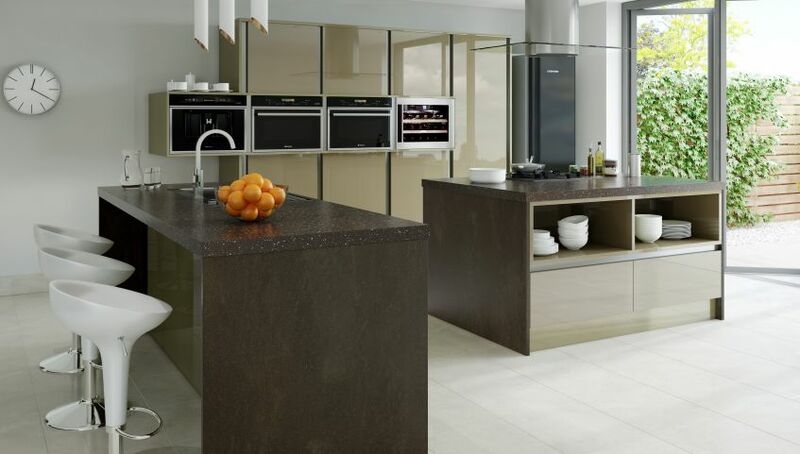 When you enter a kitchen showroom the first two things you are going to notice are the doors and worktops. 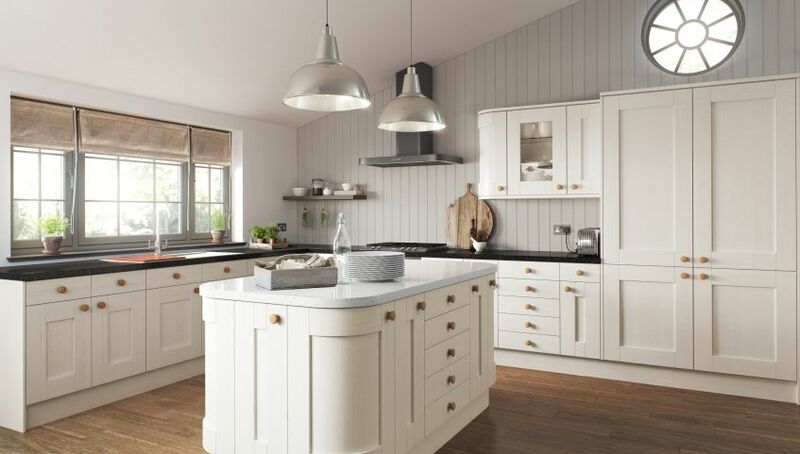 This is all well and good but one of the most important things to consider when purchasing a kitchen is the quality of the carcase. After all, the carcase is the foundation of the kitchen. If you have a poor quality flimsy carcase, you’re very unlikely to ever get your kitchen to look right and you are going to be prone to problems in years to come. 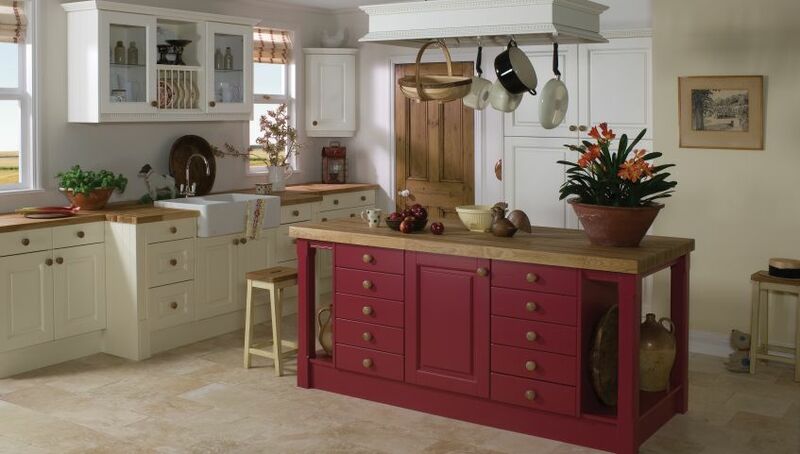 I am sure you have seen kitchens with doors that will not line up or shelves sagging under the weight of tinned food. Is thicker better? In simple terms, not always. What really counts is the quality of the board that the carcase is made of. You should be looking for a good quality board such as Egger or Kronospan. In fact, a 15mm carcase made from good quality board will serve you better than an 18mm carcase made from a poor quality board, but obviously 18mm is better than 15mm if you are comparing like for like. 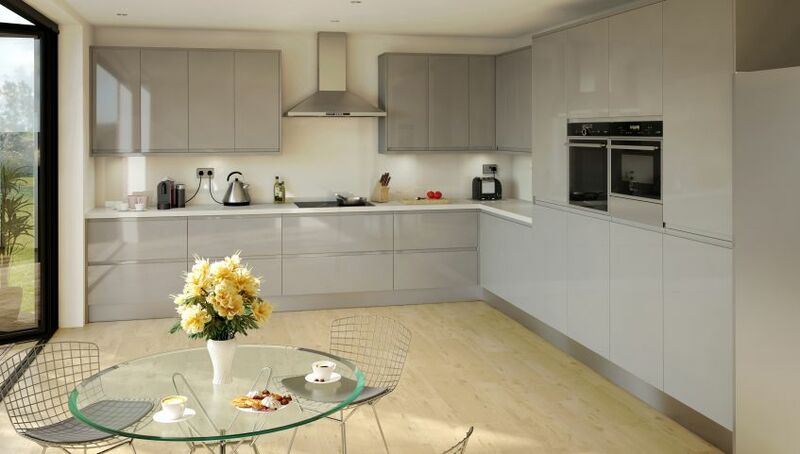 At Stellina Kitchens, we use a good quality 18mm board edged with a robust protective edging. These vary in quality drastically and it can be difficult to the untrained eye to tell a good-quality from a poor-quality door. If you pick up a sample door and it feels extremely light, it’s probably going to be a chipboard core and we would advise that you avoid these. Stellina Kitchen's Standard doors are made with a good-quality, solid MDF core, or solid wood in the case of the traditional painted doors. 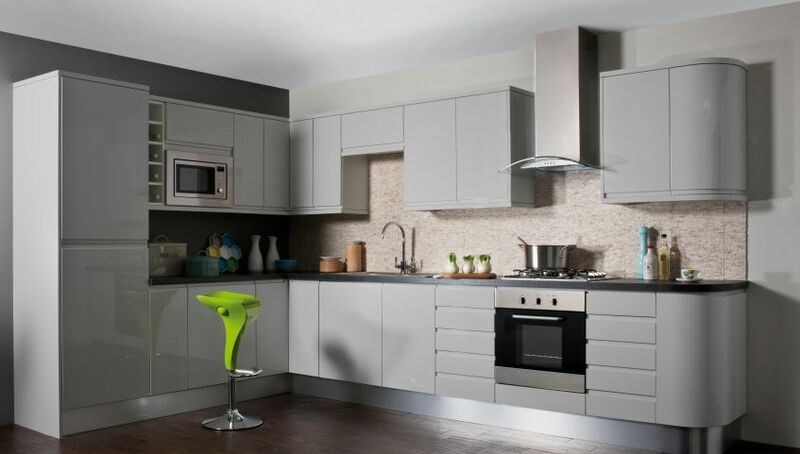 Stellina Kitchens do not sell foil or vinyl wrapped doors of any description, this type of door is typically found in DIY chains and is manufactured by bonding a thin layer of vinyl or PET to a MDF or MFC blank. The biggest draw back to these doors are that they can over time, de-laminate, this is where the vinyl comes away from the core material. The second draw back is that the surface can look like orange peel and not a smooth flat finish like a painted door. 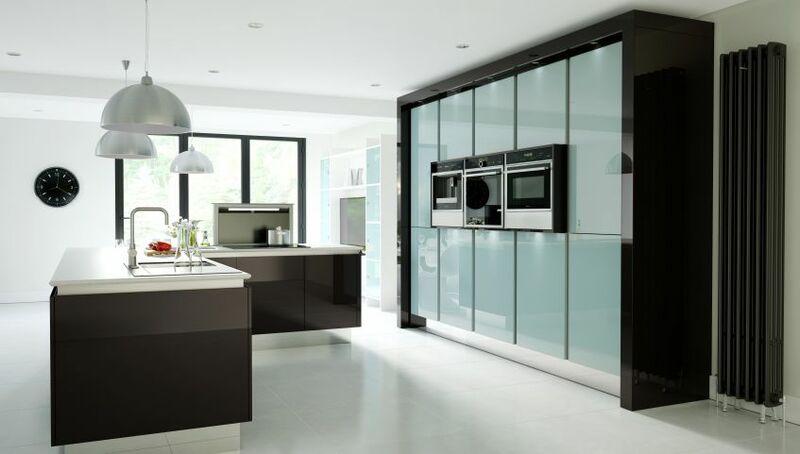 Stellina Kitchens supply high quality painted or acrylic doors for that mirror like finish. 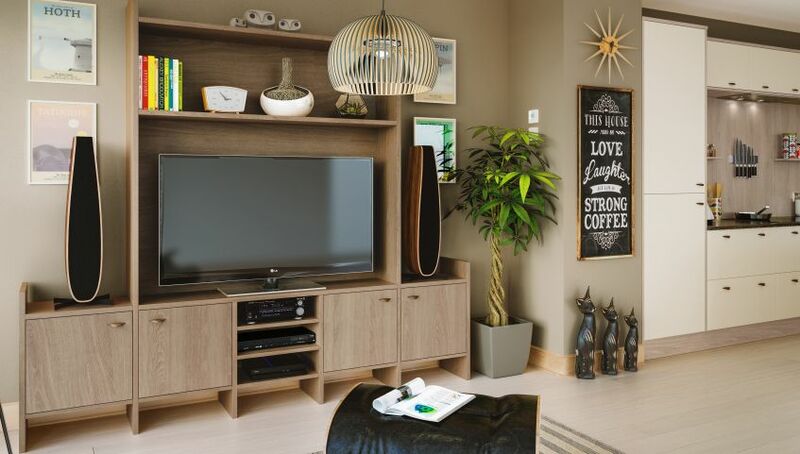 Solid wood doors can also vary in quality, so make sure you buy from a trusted source. If you buy a solid frame door and the centre panel does not have a genuine veneer, you will find that after a few months, your door will be two different colours as the wood darkens and the panel does not. If you're not sure, you can tell if it is a solid wood door by looking at the top edge to find the joint where rails and stiles are fixed together. A synthetic door would not normally have these telltale joints. 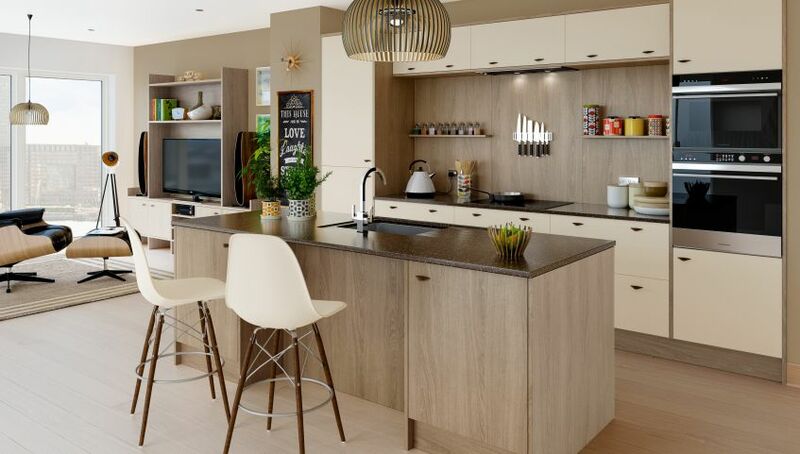 If you choose laminate worktops, look for a good make such as Prima or Omega. Always check that the laminate runs all the way under the bull nose and is joined with a wax seal to stop moisture ingress. 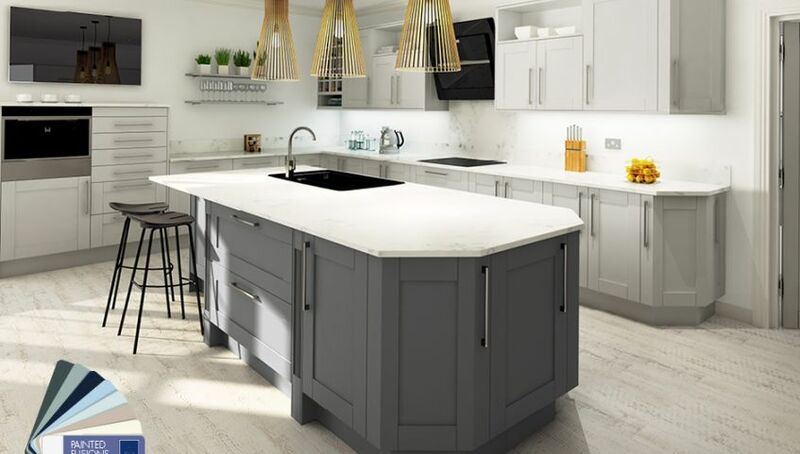 Solid surfaces such as granite and solid woods can vary in price and quality, so if in doubt, ask one of our knowledgeable staff to show you the comparisons of the various products on the market. Again, it is pointless to buy a good quality kitchen if it is supplied with cheap hardware. 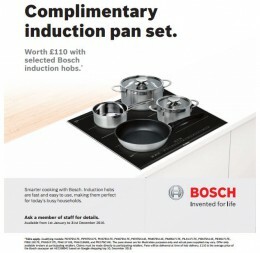 Look for good quality hardware made by such companies as Blum or Hafele. Cheap hinges and drawer runners will cause all sorts of problems in the months to come.